For many, rehabilitation at Craig is a full-time job. But for 15-year- old Austin Brotman, the conclusion of the therapy day was just the beginning of his work. 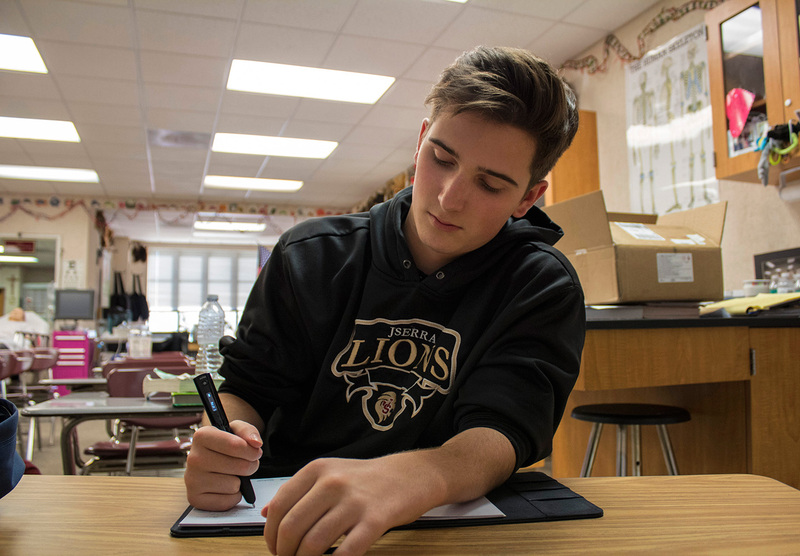 With the help of Craig’s School Program and the Assistive Technology Lab, the high school sophomore from Ladera Ranch, California, was able to keep current in the majority of his classes: Advanced Placement Biology, English, Honors Chemistry, and Pre-Calculus. 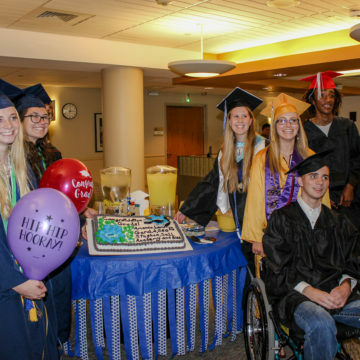 “Most students work on one subject while here rehabbing,” said Laura Magnuson, Craig’s licensed teacher. “Austin worked on four…with a bit of Latin thrown in for good measure.” Before a June 2015 diving accident injured his spinal cord at the C6 level, Brotman was a dedicated water polo player, student, and member of his school’s Medical Magnet Program. The program introduces dedicated young people to the medical field through advanced science courses and medical internships. Brotman was driven to make sure he didn’t fall behind with the program. “I was not going to get behind, it was not an option for me,” he said. “I wanted more than anything to pick up where I left off.” Brotman’s teachers back home at Jserra Catholic High School recorded and posted their daily lectures/lessons to the internet. After a full day of therapy at Craig, Brotman would watch the lectures and do his assignments and reading. “Initially, I scribed for him when he needed to complete written work,” said Magnuson. 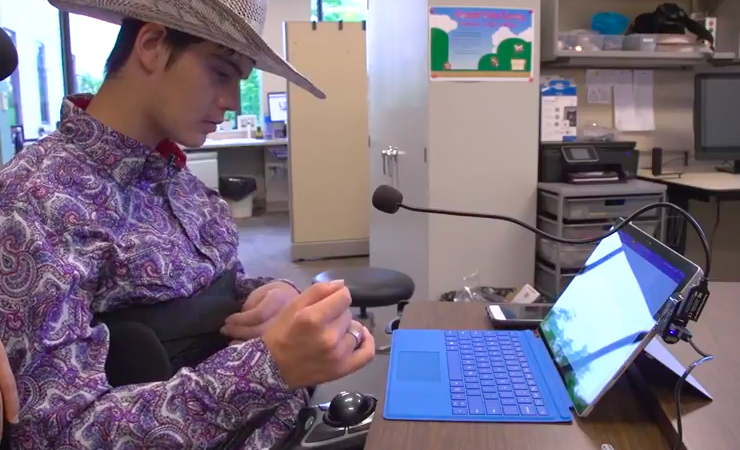 “I also scribed for him on quizzes and tests.” Therapists in Craig’s Assistive Technology Lab introduced Brotman to Dragon NaturallySpeaking voice-recognition software and other adaptive devices that would be helpful with his coursework. Using the software, he was eventually able to take notes and complete his coursework independently. Following his return home to California, he was back in school within a week. While he now has enough hand function to complete his math equations by hand, he still uses the assistive tools. “Anytime I have to take notes, write a paper, or do anything on computer, I’ll set up Dragon,” he said. Brotman has now completed the first quarter of his junior year and has his sights set on college and a medical career. He credits technology with helping him stay on his path, and has worked with the Craig Foundation to develop a fund to help other students access the tech tools they need to continue their education. The Craig Foundation secured an initial $25,000 grant from the Nord Family Foundation and the Brotman family is crowdfunding an additional $25,000 through their website at scischolarsfund.org. If they succeed, the Nord Family Foundation has informally committed to contributing another gift to the fund in 2017. 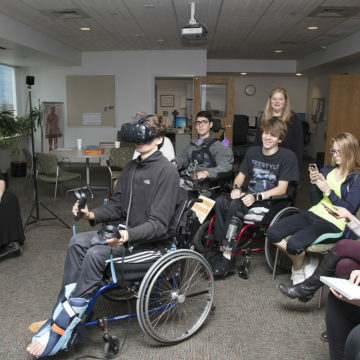 The fund is housed within the Craig Foundation and the Craig therapy staff will purchase needed equipment for students on the basis of their unique needs. Equipment can range from a Quadjoy Mouse, a mouth-operated joystick that uses sip and puff technology, to a LiveScribe 3 Smart Pen or Bluetooth headset or microphone. Two patients have been assisted through the fund so far. 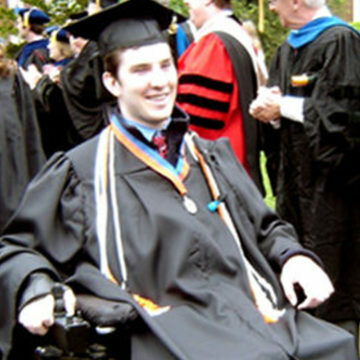 To donate to the SCI Scholars Fund, visit scischolarsfund.org.